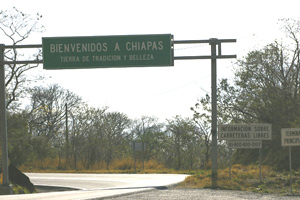 Welcome to page 2 of the Chiapas winter adventure 2010. 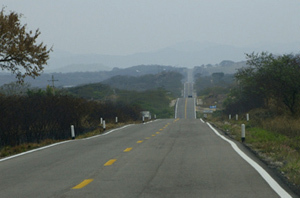 This page will take you from Veracruz to San Cristóbal de las Casas. Since this is a work in progress, some of the hot links haven't been installed yet. Check back later if you find that they aren't let active. 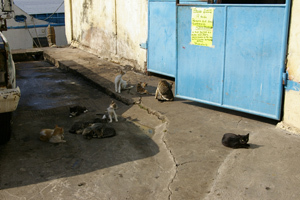 One of those waterfront gangs you hear about. These guys on the pier in Alvarado appear to be members of "la familia" that prey on unwary fishermen, stealing their catch. Total strangers on the street want to talk and sometimes have their pictures taken. 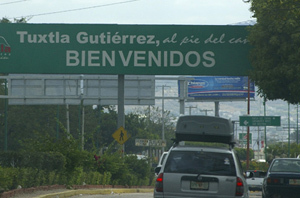 The kids always have email addresses (Flower, Princes so-and-so) so I'll be sending Tania in Alvarado this photo. Click it to see the people we met along the way. Another nice surprise was Montepio. I followed a turn-off that promised a beach. The road went on and on and a number of times I think my passengers were really ready to turn back as was I. 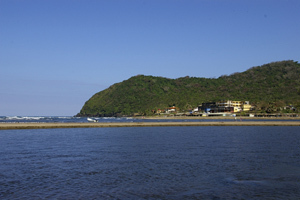 We were rewarded at the end with a beautiful, tranquil seaside village with 2 or 3 hotels and some cabanas but no turists at all. We were the only people in our hotel. 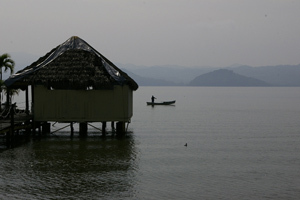 Shortly after turning inland we came upon Lago de Catemaco. We really should have stayed a day or two to kick back and take a boat out to the islands to see the monkeys and other wildlife. 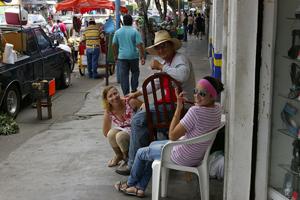 It was a beautiful spot and unlike any other up to that time in my Mexico experiences. 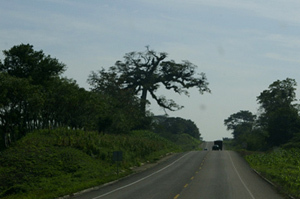 Heading across from the Gulf to the Pacific, the terrain and vegetation changes. It's much drier as you approach the Pacific. We turned and headed back inland before we actually caught sight of the Pacific. 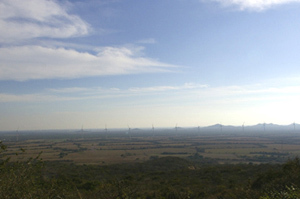 This is a view of a large wind farm along the coastal plain we got coming down out of the hills just after turning east toward Tuxtla Gutierrez. We'd driven a good part of the day without seeing a hotel, or at least anyplace we'd consider. I asked a lady along the way, toward the end of the day, who told me about a hotel not far down the road. I was skeptical but it turned out to be a really nice place in the town of San Rafael. 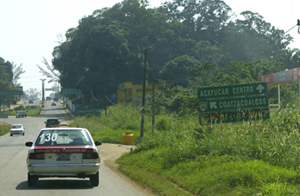 The final leg to Tuxtla Gutierrez, the capitol of Chiapas, at the foot of the mountains we will climb to reach San Cristóbal. 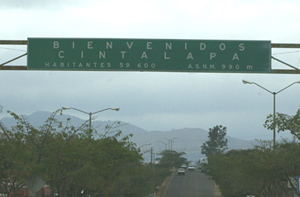 We'll return to Chiapa de Corzo on a day trip out of San Cristóbal. Click this picture to see what that was all about. 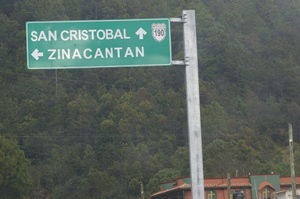 Like Chiapa de Corzo, we'll make a side trip to Zinacantan as well. 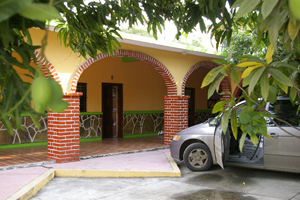 Continue on to the San Cristóbal pages to see more. 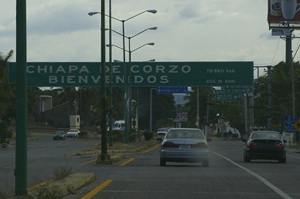 Chiapas has a history of socio-political unrest and injustice. 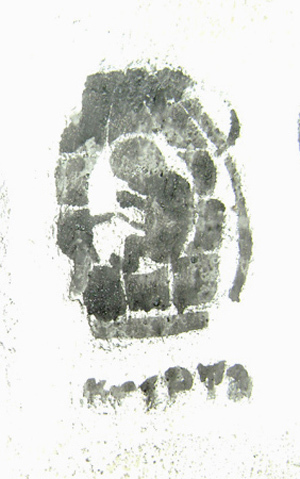 Rumor of those issues is abundant in the street art found in San Cristóbal. Click the picture above to visit San Cristóbal de las Casas.